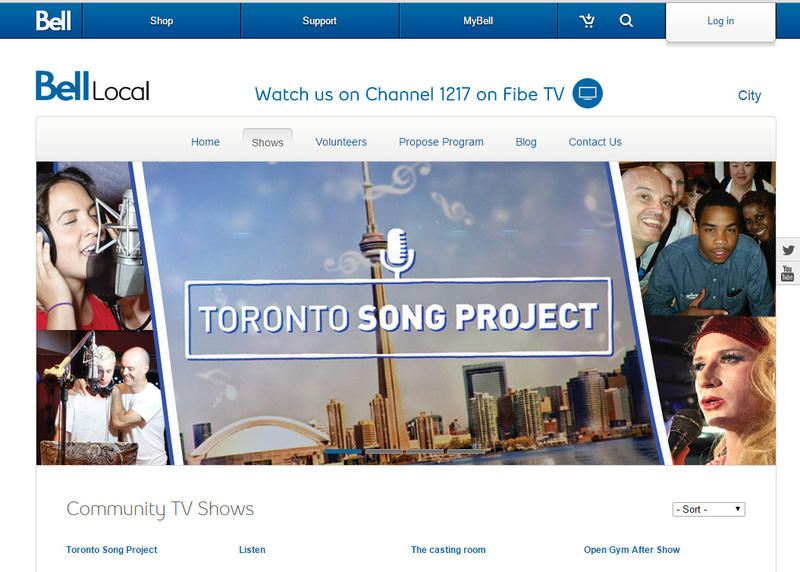 What a beautiful sight: Seeing Toronto Song Project on the Bell Local banner on the Toronto page at bell.local.ca. In case you weren’t aware, you can watch all four inspiring episodes on Bell’s Fibe TV service, channel 1217 and on Bell VOD. We love our friends at Bell Local, and could not have made this show without them. And seriously, why haven’t you pitched them a show yet? Message me and I’ll tell you all the benefits and why this is the best way to get your idea off the ground.